Be our guest. 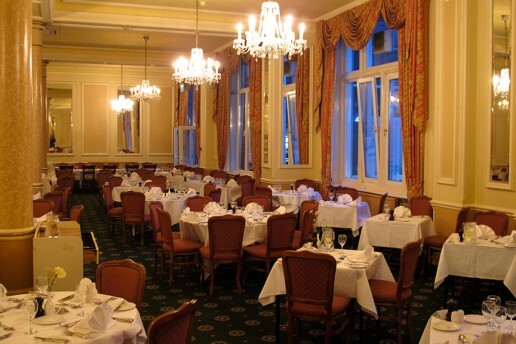 Over 120 years of fine cuisine and exceptional personal service, the Hydro Hotel is the perfect venue to dine. Open for breakfast, luncheon and dinner every day. 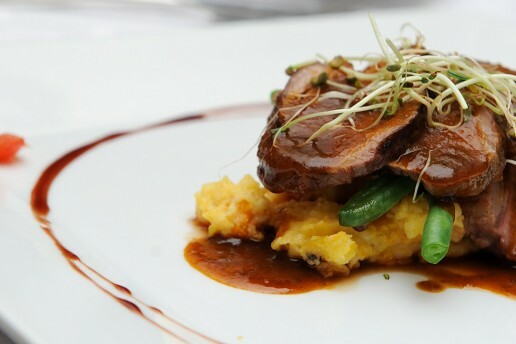 Traditional English and French cuisine is served in a relaxed atmosphere. 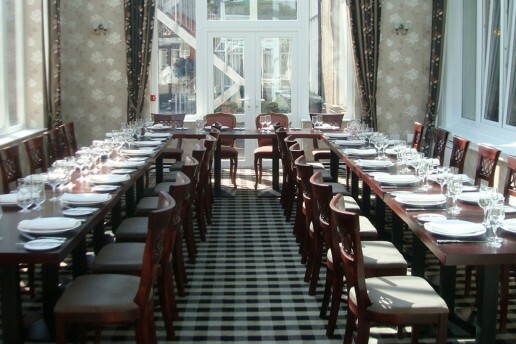 Available for private functions and celebrations for up to 30 guests. The Orangery is ideal for meetings, private banquets and groups. 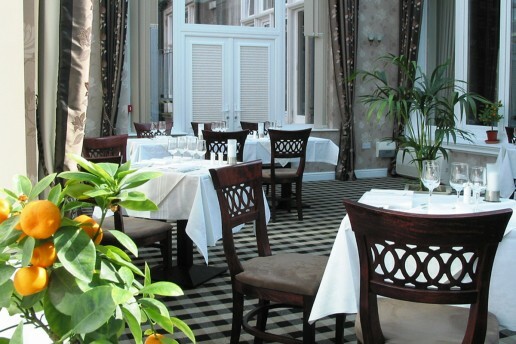 The Conservatory restaurant serves a selection of hot dishes throughout the day. Enjoy a traditional Sunday lunch in the seaside hotel, great for a family get together or a special occasion. 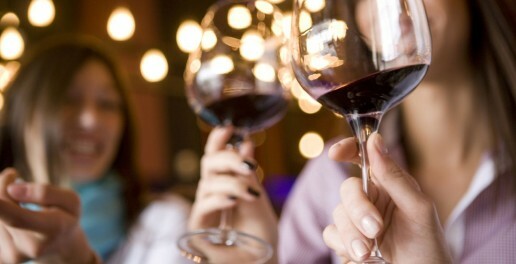 A treat to be enjoyed every weekend! Light lunches are made freshly to order and drinks are available from the cocktail bar throughout the day. The various lounges at the Hydro add to its traditional charm, providing comfortable spaces throughout the main floor of the hotel. These include the cosy Library, the open and welcoming Drawing room and the Jigsaw lounge where we have an ongoing public jigsaw puzzle for you to enjoy. 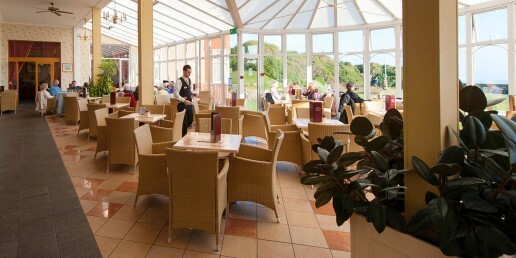 Alternatively, you can enjoy the fabulous sea and garden views from the Conservatory restaurant. Enjoying a high tea is a popular choice at the Hydro. Serving sandwiches and freshly prepared scones with real clotted cream. Book a high tea and relax in the lounge, it’s a real treat.